Yeah, I'm pretty much sold on the smart bar. 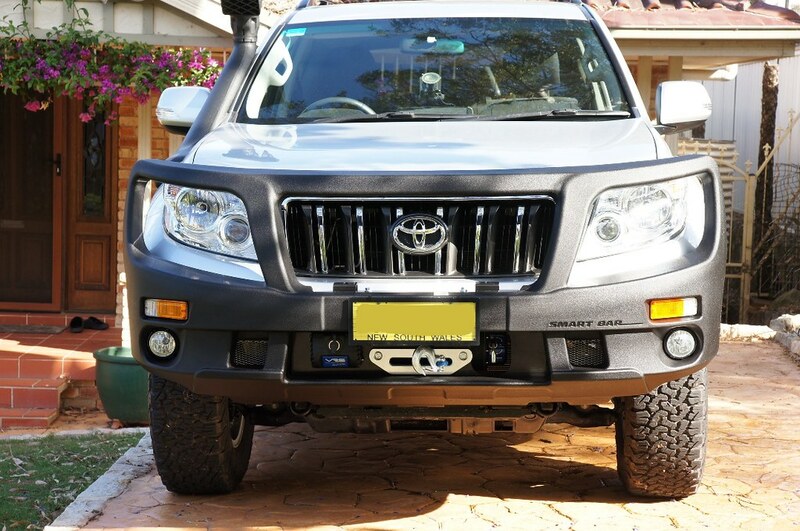 I'll get the version with the winch (35.5 kg with the winch fittings, I believe you drop about 15 kg in original Prado parts when it's fitted so only 20 kg extra on the front plus the winch itself). I just emailed them yesterday to check on latest developments before I order one. I noticed that they have a "stealth bar" out for the Ranger and they may have similar about to be released for others. 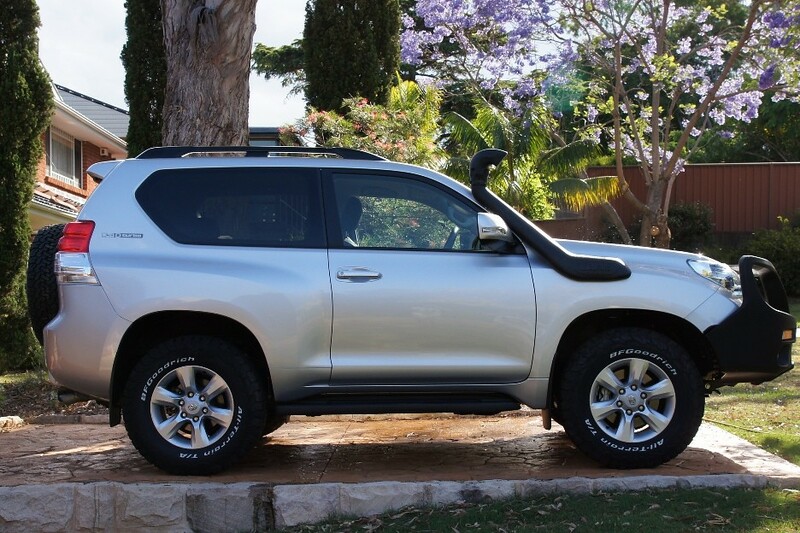 Oh wait, there's a Prado attached to it. Not quite the stealth bar I was looking for !! See what I mean about the approach angle? Compare that to a TJM or ARB bar. 2014 VX D4D. Dobinson 2 inch lift. 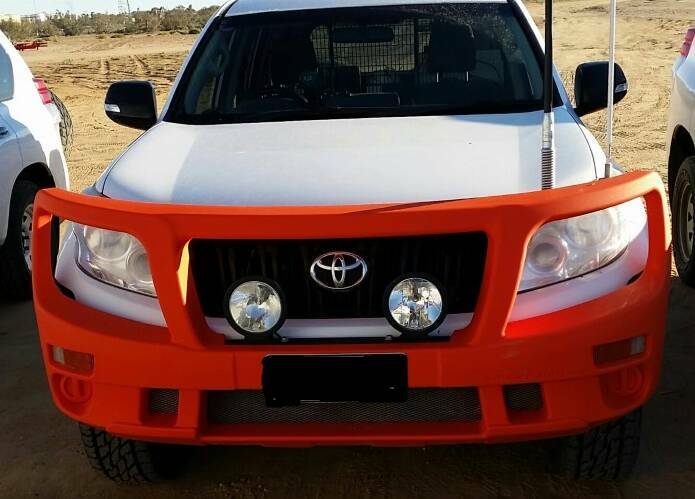 TJM T3 Bullbar. rhino platform. TraxRax. Maxtrax. Dual batteries. GME TX3450. Finally got it done. Fully prepared for the FUGLY aspect but must admit, very surprised when I picked it up at OL and saw it in the flesh fitted on the car. Works reasonably well on the 3 door. Some of the bars that stick forward a long way don't look the best on the shortie. It's got the VRS 9500 lb dyneema rope winch in the Smart Bar winch cradle. Just need some lift to finish it off. Hey all. Interested in hearing updates on smartbars, as I am thinking about fitting one to a graphite grey 2015 VX. company ford ranger parked by the side of the road unattended so I went back to have a look and found this. Wouldn't go near one now. Interesting this one. Let’s think about it. If the bar’s purpose is to deflect animal strikes then it’s clear a cow is never gonna “deflect” unless you hit it with a freight train. Conversely, if it’s designed to protect occupants (which I’m pretty sure NO Bullbars purport to try to do), then in the photographed scenario, with straight looking A pillar and door panel (with a door that probably still opened), then one could argue that the bar MAY have assisted in absorbing the impact force. Remember, it’s crumple zones that protect passengers, not rigid structures. In trying to research Bullbars, whilst all certified designs state that they are airbag compatible, no companies seems to make reference to the effect (good or bad) on the car’s crumple zone design. I simply have to assume (unless someone has actual evidence to the contrary) that all bullbars may (or indeed are likely to) compromise the way engineers have designed crumple zones to work. In my mind, I’d prefer a family mostly uninjured in a crumpled wreck than injured in a car “protected” by a bar. It’s tricky, and I suppose it boils down to priorities. I’m just wondering if a winch compatible Smartbar kinda meets in the middle.....? There is a general reference to the effect of bull bars provided on this https://www.ancap.com.au/frequently-asked-questions . An internet search with keywords ANCAP and smartbar should provide further interesting reading. I would no longer go for a bull bar unless one absolutely needed a winch. Being in this situation I decided for a smart bar, conscious of weight and attaching a rigid and heavy steel structure to the front of crumple zone doesn't make much sense to me. I think the smart bar concept is much more aligned with modern car design, a softer shell mounted to a winch cradle is in my pinion advantageous over a steel bar in low energy impact situations. In a high impact situation it probably doesn't matter what bar you have, crumple zone effectiveness and passenger cell rigidity in combination with air bags are probably the main deciding survival factors.